When we compare the two in a side-by-side comparison of 1and1 vs DreamHost, which one you should choose will depend on your needs. We looked at the web response time from a response of 100,000 hits per day to see which one responded better. We looked at the VPS for each response and the average response time. DreamHost had an average response time of 67.7 ms for gp1_supersonic. For gp1_subsonic, it had an average response time of 122.0 ms. Meanwhile, 1and1 had a response time of 62.7 ms on Cloud Server L. On Cloud Server M, it had a response time of 64.3 ms. This shows 1and1 had a slightly faster response time in comparison. In terms of security, DreamHost uses a key feature known as secure sockets layer (SSL) certificates. Meanwhile, 1and1 has the same certificate. Some of 1and1’s other security features include secure data centers, secure data transaction and secure hacker protection. This is optimal levels of protection that is more than just a promise. Some of DreamHost’s other security features include encryption, malware remover and free domain privacy. Both companies are slightly different in terms of security, and you have to look at which features you like the best. 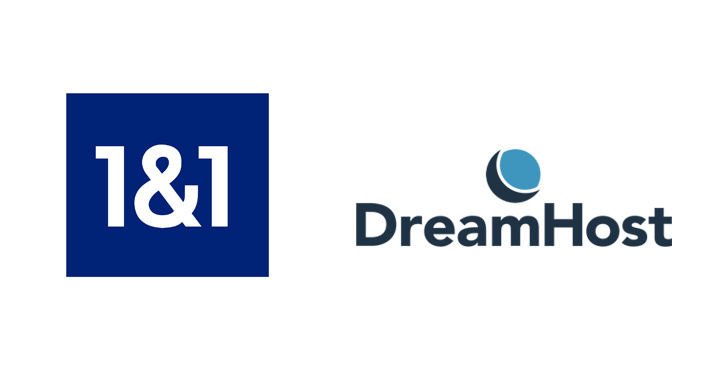 When you compare 1and1 vs DreamHost, you find that neither of these systems has automatic backups, which might be a dealbreaker for some people. While DreamHost has DDoS protection, 1and1, unfortunately, has no such thing. DreamHost also has four data centers, while 1and1 only has three. However, DreamHost has a built-in control panel while 1and1 has a custom control panel, which is a little more useful. When looking at features and usability, DreamHost wins in this category. In the realm of customer service, you need a strong company if you will be able to continue using them without a problem. The biggest problem with DreamHost comes down to poor customer service. One customer even commented on how they waited three days via Livechat and phone. For a business, that’s too long to wait. Even when calling 1and1 on a weekday, the representative responded within a minute. However, 1and1 lacks the livechat that DreamHost has. 1and1 also offers a fair 30-day money back guarantee. What does DreamHost offer? While the company won’t refund VPS hosting fees, dedicated server or DreamPress, they offer a more impressive 97-day money-back guarantee. When you stack up 1and1 vs DreamHost, you have a tough call. Both hosting providers are quite excellent in the ways that matter. However, the lack of good customer service on the end of DreamHost almost makes it a dealbreaker for some people because most people, especially business owners, aren’t going to want to experience lengthy periods of downtime. In that case, 1and1 probably has a better service offered, and they provide you with faster speeds without the need to pay through the nostrils for it. The prompt customer service response in itself makes 1and1 a better buy because of how if you have any problems, you don’t have to worry about them going unsolved for long periods of time.